For most, networking is one of the most vulnerable things you can do. Whether it’s connecting with new people, creating thought-leadership content, or attending events, networking can assist you in becoming part of a professional community (and make you even better at your job.) Physically getting in front of someone will always be the best way to connect — but what if you’re just not feeling it today? Take 10 minutes (without leaving your desk chair,) and let’s get your career boosted. Here’s a list of options to get you started. Let’s network! Write about a tough experience in your career and how you handled it. Post on LinkedIn. 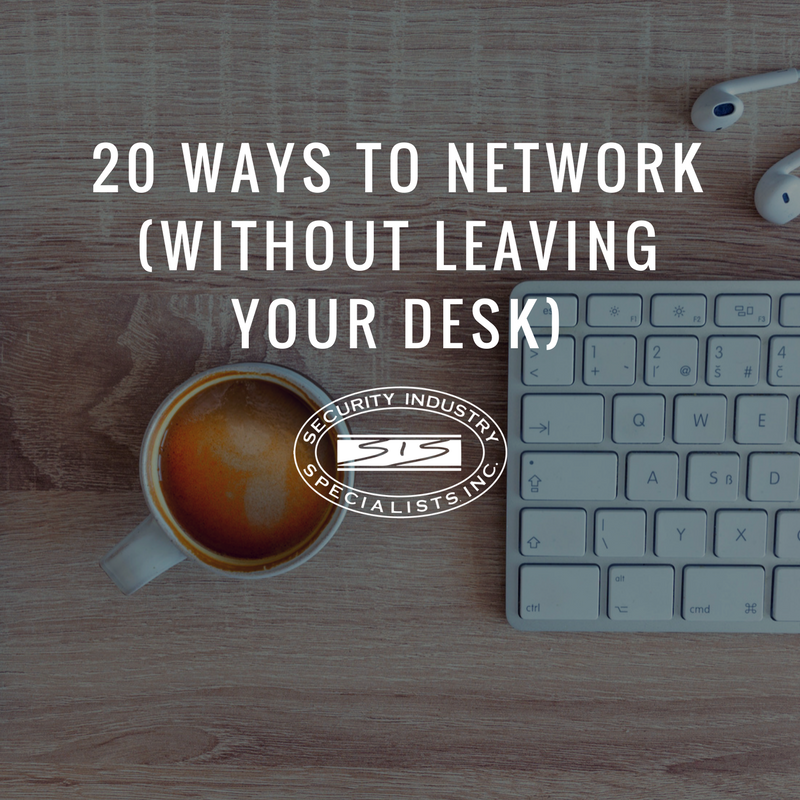 Have any other suggestions for networking from the comfort of your office? Let us know in the comments below! Thank you. These are some very helpful tips on networking. I love working with SIS and I hope to grow with company as it grows and thrives.